One of the most beautiful locations in Prague for a very special pre wedding portrait session - the Klementinum / Clementinum Mirror Chapel. For our latest couple from China having a pre wedding at the sumptuous Mirror Chapel at the Klementinum was a dream come true. 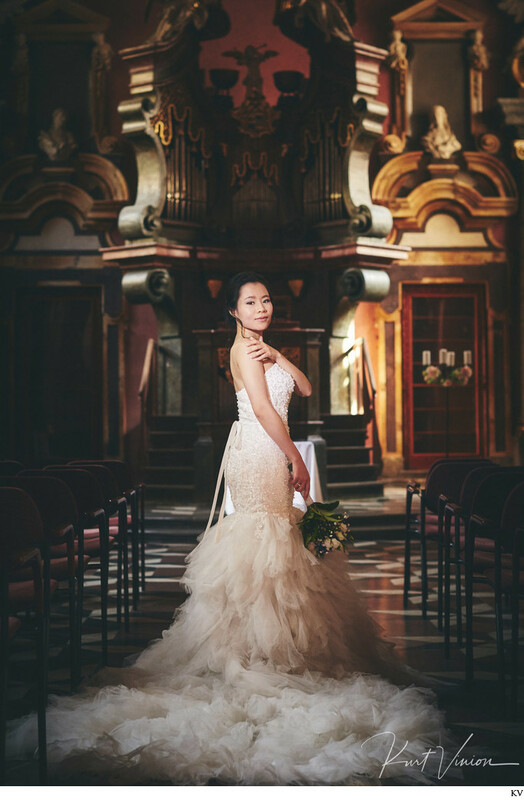 Pictured the beautiful bride to be posing in one of Prague's most picturesque churches - the Mirror Chapel at the Klementinum. Location: Marianske namesti 5, Prague 110 00, Czech Republic. Keywords: elegant couple (66), Klementinum Mirror Chapel (3), Klementinum wedding (6), Photos (66), Prague (792), Prague weddings (1383), wedded couple (66), wedding (36).